Do they have before and after photos for you to view? Does the surgeon spend adequate time with you? Will the surgeon be seeing you for your post-operative care? Most women are not currently wearing their correct bra size. In fact, most women currently wear the wrong bra size because they have not properly measured themselves. Most women begin with the usual “34” sized bra then choose the cup size from there. When measuring for a bra, place the measuring tape UNDERNEATH the breast, measuring only around the chest, not on top of the breast. This is the biggest mistake that manages to get so many women in the wrong bra size. The purpose of the bra is to provide support of the breast. Most women fit themselves focusing on mere coverage of their breast under clothing. The bra cannot provide support if it is loose around the back, causing the back of the bra to rise up, thus the breast sag in the front. Once you have the correct chest measurement, then you choose your cup size. This is where so many Americans get frustrated. Women tend to think that a size “C” cup is the same for a chest measurement of 32, 34, 36, and so on. Nope. Nothing could be further from the truth. In fact, a 34C is the same cup size as a 36B or a 32D. Also, a DD size is also size E, and triple D (DDD) is also size F. Europeans use common sense cup sizes of A, B, C, D, E, F, G, and so on. Americans like to be complicated and use A, B, C, D, DD, DDD, and so on. So when you go into your Plastic Surgeon’s office and tell them you desire to be a “C” cup, think again. Most “C” cups are actually not as big as you think. Below is a chart to give you a better idea: a 32C has the same cup size as 34B, a 32E (DD) has the same cup size as 34D and so on. Choice in implant substance is a very personal decision and must be chosen wisely. Saline is salt-water. Silicone is, well, silicone. The lifetime of saline implants is on average 10 years, meaning the implants are likely to require replacement approximately after 10 years. Saline implants also are known to “reduce” in size and lose volume over the years which can lead to implant deflation which is why the life expectancy is around 10 years. 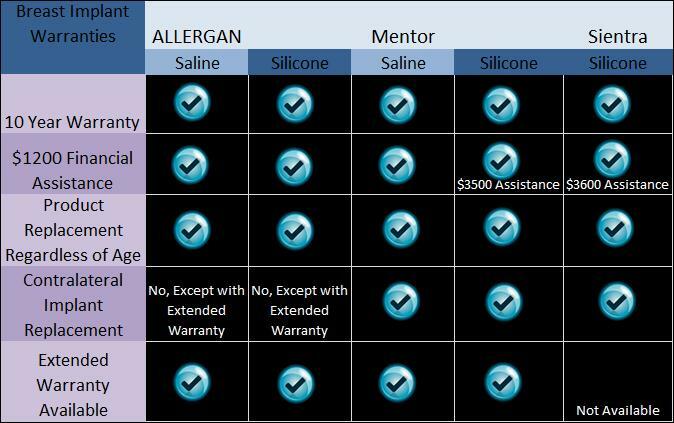 Silicone is back on the market and is gaining momentum as the implant of choice for a few factors. Some believe the silicone gel is more natural feeling than the saline, and the life expectancy of the silicone implants is greater than saline. Silicone is more expensive and the FDA recommends patients monitor the implants by way of an MRI every few years which is not covered by insurance. Both implants run the risk of deflation, or outer shell failure, but the saline is absorbed by the body. On the other hand, silicone is not absorbed by the body but less likely to deflate due to the silicone gel not losing volume over time. Loss of saline volume over time causes the shell of the implants to shrink, thus creating folds, or rippling, in the shell. These folds break down the shell due to friction leading to deflations. Sientra– only manufactures silicone implants, AND only sells their implants to Real Board Certified Plastic Surgeons. 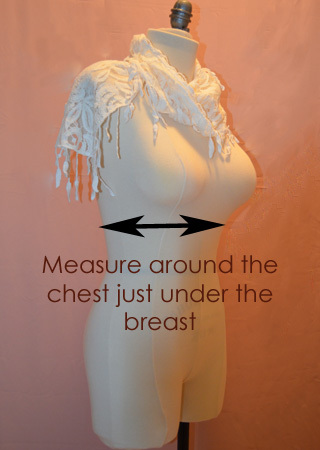 Trying to choose your desired breast size can be easier than you think. Most women have a friend who has 350cc saline filled implants, they look great, and they claim to be a “C.” Take note than 350cc implants do not equal “C” cup for everyone. Some women get locked-in an idea of what breast size they want to be according to “CC’s.” Get over it. Not all women are created equal and certainly not our breasts. Decide what cup size you are now, and what cup size you desire to be. The best way to assist in your decision process is by purchasing a few bras at your local discount store, stuff them and play around with sizing until you get a better idea. Trying to pre-determine your implant size according to what size implant your friend got, who is taller or shorter than you, or may have started out with more or less breast tissue, is just not smart. Let your surgeon measure you and chose the implant size according to what cup size you request. The East Coast or West Coast Look? I know this sounds funny, but it is a real thing. Women on the East Coast have a different idea of how the implanted breast should look than the women on the West Coast. I’m an East Coast woman and like the full look that achieves an augmented appearance on the upper polar portion of the chest. West Coast women like the fuller look in the lower cup portion of the breast. The difference in the two looks is created by implant size, shape, and placement. Breast implants come in three different projections: low profile, moderate profile, and high profile. High profile is often used to achieve the upper polar fullness, moderate profile is the most commonly used implant, and low profile is the least commonly used implant. There is another “anatomical” implant shape on the market referred to as the “tear drop” shaped implant. Not that popular since most breast implants are placed under the muscle for the most natural appearance. This implant is a consideration when sub-muscular placement is not an option for some patients such as body builders. Otherwise, any special shape is lost under the muscle. Breast Augmentation is the most “shopped around” procedure. Price is usually the very first factor in choosing a Plastic Surgeon for this procedure. Unfortunately, choosing your surgeon according to price can land you in a bad facility. Most surgeons who charge very low fees for surgical procedures are business minded people focused on turning their operating room at rapid rates, which means you will be one of maybe a dozen patients that day. Make sure you choose this type of surgeon wisely if price is that important of a factor. The patient’s after care plan is something that should be well organized in advance of any surgical procedure and breast augmentation is no exception. Many young women perceive this procedure as a “weekend recovery” and often make plans to return to work or go enter that bikini contest. Breast Augmentation involves the placement of a foreign object (implant) inside the body. This procedure can involve a painful recovery easily resolved with pain medication. The incision site must be protected until the doctor instructs otherwise, and physical activity will be limited if not prohibited by your surgeon for a period of time. Most patients describe the pain discomfort as “an elephant sitting on my chest.” Most Plastic Surgeons recommend taking a week off of work or other physical activities. You should also make arrangements to have someone stay with you for the first day or two, and even drive you to and from your post-operative appointments the first week. This entry was posted in General Plastic Surgery Information and tagged breast augmentation, breast implants, silicone breast implants. Bookmark the permalink. My wife wrote an exceptional article regarding the breast augmentation consultation. Thought I would share . . . . .
May I suggest you add that you are not only board certified but please add the specific board certification to your bio on website. You need to address the specific board to avoid what the ASPS refers to as, “white coat confusion.” Thanks! You know that the Aesthetic Society only allows real ABPS plastic surgeons as members, but the general public has no clue. Thanks for your response!